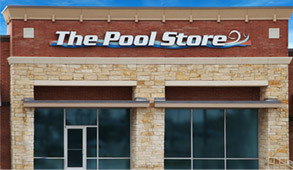 At The Pool Store by The Pool Guy, you can find pool equipment, pool chemicals, pool toys, pool accessories, and more, all in one convenient location. We can offer you everything you need to take care of your pool PLUS you can even count on our Price Match Guarantee (call us for details). Additionally, we offer FREE water testing if you bring us a water sample as well as in store repairs to your Polaris pool cleaner. We are located at 943 William D. Fitch Suite 401, College Station in the HEB shopping center (at the corner of Highway 6 and William D. Fitch). The Pool Store is a one-stop shop where our friendly and courteous staff has the expertise you need to answer all your pool care questions. Our store hours are Monday thru Saturday from 9am to 7pm and Sunday from 12pm to 5pm. Welcome to THE POOL GUY! Howdy! I’m Sean Hawthorne, class of ’93. I’m also known in Aggieland as The Pool Guy! For over 25 years, I’ve been building great pools in and around College Station and Bryan. I’m proud to offer high quality pools at the best possible prices. The Pool Guy is proud to be Aggie owned and operated. Not only are we locally owned and operated, but we’re also proud to be an official corporate sponsor of TAMU Athletics. Thank you for taking a moment to visit The Pool Guy on the web. Feel free to browse around and learn more about the quality pools we build, the quality pool products we sell and the expert service we offer. If you have any questions, please call us at (979) 575-6200 or send us an email at sean@thepoolguybcs.com. Don’t forget to watch the video featured above highlighting one of our most popular newly constructed projects and one of the largest residential pools in the area. Click here for a more in depth review of this 100,000-gallon resort-style pool consisting of three bodies of water which have an adjustable water level controlled by the touch of a phone application. Pool Gallery Take a look at a few of the many pools built by Sean Hawthorne, The Pool Guy! Pick up a few ideas or just spend a moment daydreaming, we don't mind. Pool Supplies It is no secret that any swimming pool requires a variety of products to not only maintain the pool but to allow swimmers to have fun. At The Pool Store, you can find quality pool chemicals, equipment, accessories and toys. Pool Renovation When your pool needs work, you’ll need someone you can trust. The Pool Guy has experience completing all levels of pool renovation from minor repairs to major renovations. If you’re experiencing problems with your pool or pool equipment, call us today at (979) 575-6200. Pool Service Just like everything else, your pool will likely need service from time to time. The Pool Guy makes this process easy. Our team of professionals can perform most service and repairs on-site and have you swimming again in no time. Sponsorships and Awards The Pool Guy is proud to sponsor many different groups, organizations, and events. These include Aggie Athletics, Brazos Valley Bombers, College Station Little League, and many more. Pool Chemicals The Pool Store stocks just the right chemicals for your pool. 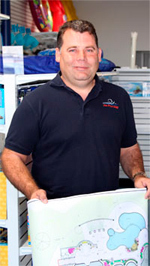 If you're not sure what you're looking for, come on by and ask our team of experts and we'll get you swimming safely. For an idea of what chemicals we carry click here. For the kids, grandkids or yourself, find out if it's time to build a pool. Nothing makes you look forward to a Texas summer like a pool from The Pool Guy! Not too sure you want a pool? To take a look at some of our work visit the Pool Gallery Page to view our pool and landscaping projects. You might even find a few ideas for your own future pool! The Process of building a pool is complex. To know more about how your future pool will be constructed visit our Pool Construction Page. For more information on anything regarding pool construction contact us by phone at 979-575-6200 or email at sean@thepoolguybcs.com.